Top 10 Christmas Gifts from the Nursery - No Green Thumb Required! - Kauai Seascapes Nursery, Inc.
You are here: Home › Blog › Top 10 Christmas Gifts from the Nursery – No Green Thumb Required! With the holidays right around the corner, the race is on to find that perfect gift! Here at the nursery, we are big believers in the gifts that keep on giving; Plants! Whether its long-lasting orchid blooms, cute succulents or a new fruit tree, giving a plant as a gift is a beautiful way to show your love and let it keep on growing! So without further ado here is our guide to fail proof plant presents for the holiday season! 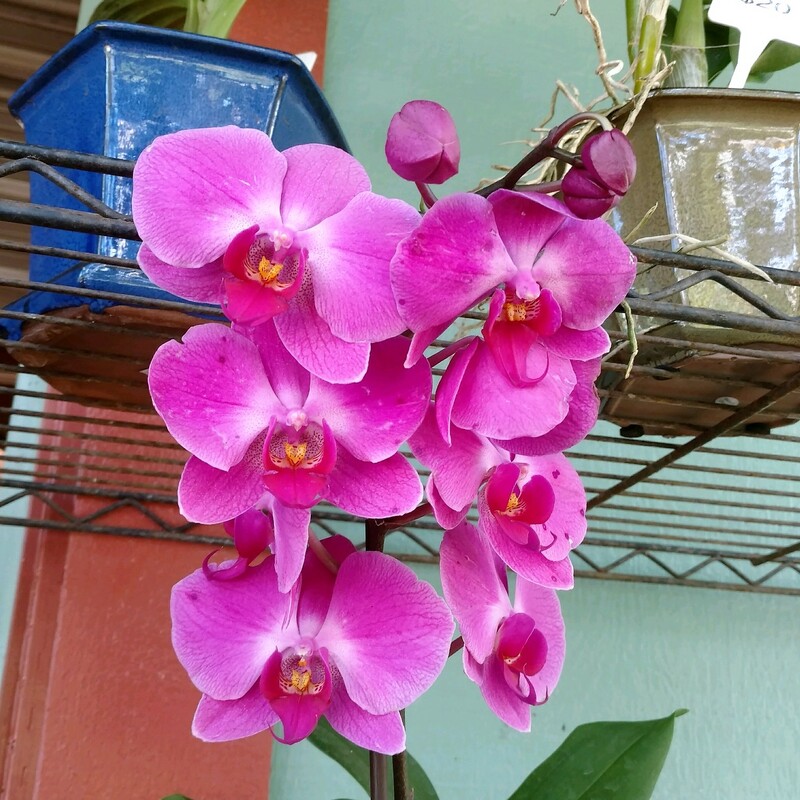 Phalaenopsis orchids are easy and rewarding! Everyone loves the magical beauty of orchid blossoms. If you’re picking a gift for the flower lover in your life try an orchid! They are much easier to care for than most people realize and can reward you with blooms month after month. 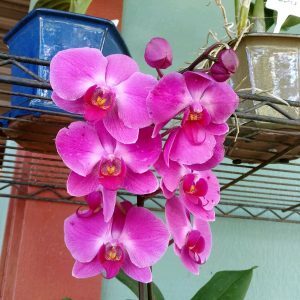 The two easiest orchids to grow are Phalaenopsis and Dendrobium varieties. These multi-blooming lovelies like to live in a north-facing window or a bright room without direct sunlight. Water them once a week and they’ll stay happy for months! When the blooms disappear you can tie them out onto a palm or tree in your yard, just follow the instructions in our Orchid Blog or watch this video! 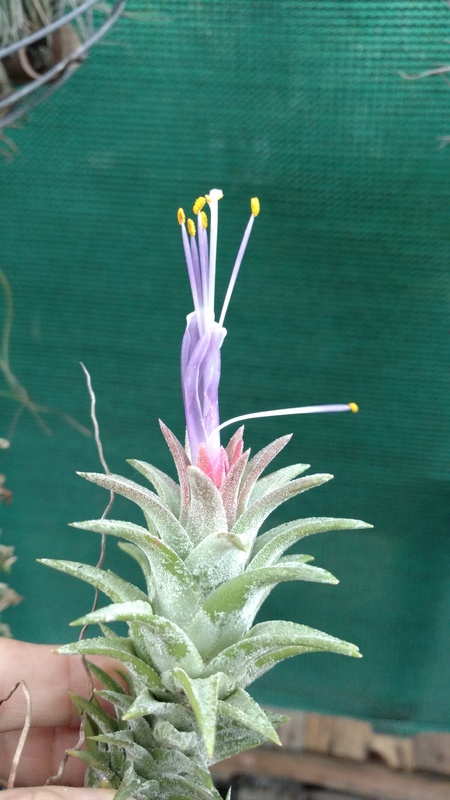 Tillandsias come in a variety of fun types and have incredible seasonal blooms! Looking for something really simple and easy? 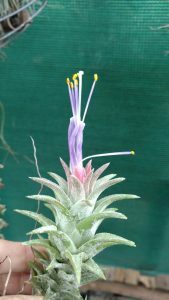 Try a Tillandsia! These epiphytic plants don’t need any soil to live and come in a variety of fun shapes and sizes! 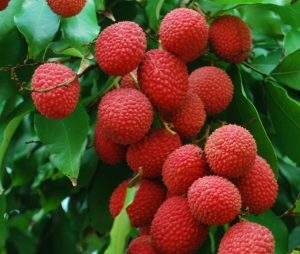 Hang them in a sunny or shady place and mist them with water a couple times a week. Or hang them outside just like an orchid. We even have Tillandsia terrarium ornaments for sale! Buy one of our pre-made ones or pick out a glass ornament and some air plants and make your own! To learn more about these neat plants check out this blog! So many succulents to choose from! Succulents make great indoor plant buddies and can also be an excellent addition to a dry part of the yard. Succulents like lots of bright, indirect light so put them in a sunny room or an east-facing window, just don’t put them in the hot bright sun. Water them about every other week. We carry lots of succulent varieties as well as our new, bagged Succulent Mix for guaranteed succulent success! Pick one of our pre-planted pots or get a bag of mix and a few choice succulent babies and do it yourself! 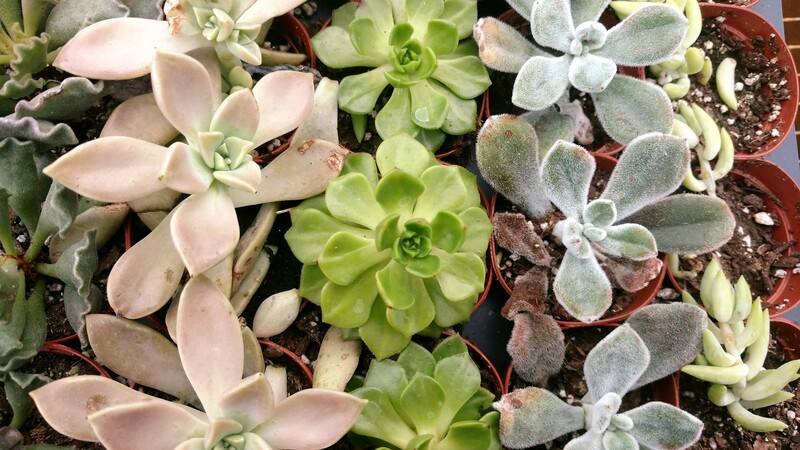 For more info on the care and keeping of these plants check out our succulent blog here! Sansevaria, you couldn’t kill it if you tried! 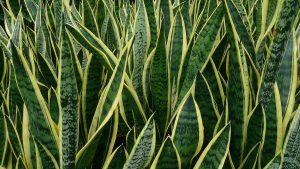 Here are a few of our favorite easy houseplants, these low-light lovers work great in a bathroom, kitchen or any shady part of a house that could use a little pop of green! Spathiphyllum or Peace Lily is a great indoor plant for air purification and an easy friend to care for. Water once a week and keep in a shady corner. If Peace Lily gets thirsty it will tell you! 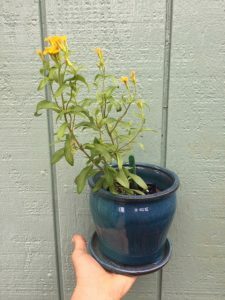 The wilting leaves will perk back up instantly once watered. Dracaena is a great choice for a larger, statement plant. 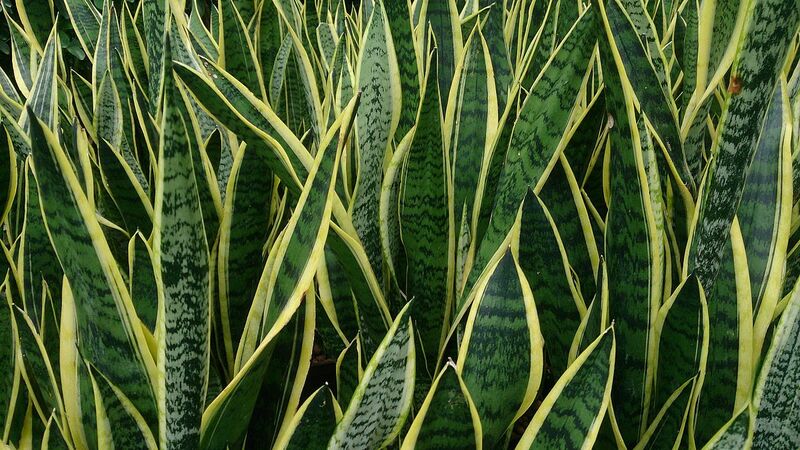 Its tall, columnar shape and bright green, striped leaves are perfect for that boring corner of your living room. Dracaena is drought tolerant and shade-loving but can also handle some sun. Water once a week and watch it grow! Pothos vine is another brown thumb-proof choice, this sprawling vine is great in a hanging planter and works in both sun and shade. Water weekly and enjoy this vigorous, variegated, vine! Lastly, Aloe vera is the best for a sunny window or lanai. This succulent is a great one to keep around the house for the inevitable sunburn and as an easy to please houseplant. Water every other week and remember to pick the lower leaves when needed. For more houseplant inspiration, check out Holly’s Indoor Plant Blog! Fruit trees are truly the gift that keeps on giving! Get one for a friend and they will be blessed with food for years to come! Pick a standard favorite like tangerine or avocado or try something exotic like Jaboticaba, Miracle berry or Cinnamon! We have fruit trees and edibles for every environment and palate! Mexican Tarragon has tasty leaves and flowers! Herb pots are another great and easy edible option. Pick a favorite savory herb (like Thyme, Parsley or Oregano) from our selection of Heaven On Earth Starts and pair it with a pretty ceramic pot for the perfect addition to the kitchen counter or sunny kitchen window. Water weekly and enjoy adding these fresh, delicious flavors into your cooking! And last but not least, if you can’t figure out which plant to pick try a Gift Certificate! We have gift certificates available for any amount you choose. This is a great option for a friend that’s looking to re-do their yard or landscape and might need something specific or might just enjoy the thrill of picking out a favorite plant for themselves! Come by the nursery and ask about a gift certificate today! We hope this article helped ease your Christmas list confusion and remember; supporting small, local businesses this holiday season is the best way to spread holiday cheer! Mele Kalikimaka from all of us at Kauai Seascapes Nursery!